Fun Dublin wooden hand-spinning flying jumper! Assorted colors! 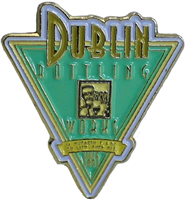 Dublin 1891 General banner Pin! 1.5 inches x 1.5 inches Red Cola Bottle Pin is 1.5 inches tall. Black wash metal. Every true Texan needs a shot glass for their Dublin Soda! Also works great with your favorite liquor! Won't work with coke or pepsi! This bottle cap shaped cap remover is an awesome and convenient way to uncap those stubborn caps! Works for both plastic and glass bottles! Over 100 years of history! From the original 1950's mold and material! 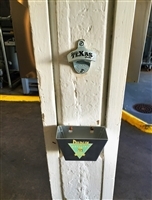 This iconic wall-mounted opener will last through the years. Add delight to your morning with a colorful interior. Matte Black ceramic mug, with a green high-gloss inner center. This Pop Top easily removes any glass bottle top with a swift movement. All you have to do it place it on top, push down, and it pops the cap right off! Over 100 years of history! 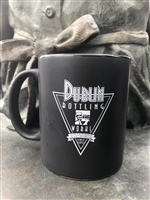 Dublin stainless catcher. 18"X24" tin signs perfect for a barn, shop, retail store or any other proud Dublin fan!